Ikibu Casino has just added the brand new Wild Toro Slot from ELK Studios to their casino, this is in addition to several other great new online slots which include Dragonz (Microgaming) and Fairytale Legends – Red Riding Hood (NetEnt). 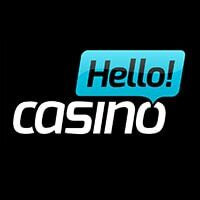 If you are looking for more information on Ikibu Casino and what it has to offer, then be sure to check out our Ikibu Casino Review, which covers all of the online slots on offer, the unique journey casino experience, and of course the welcome bonus package which includes a first deposit bonus of 100% to £100 and 2500 Seeds (redeemed for of free spins). 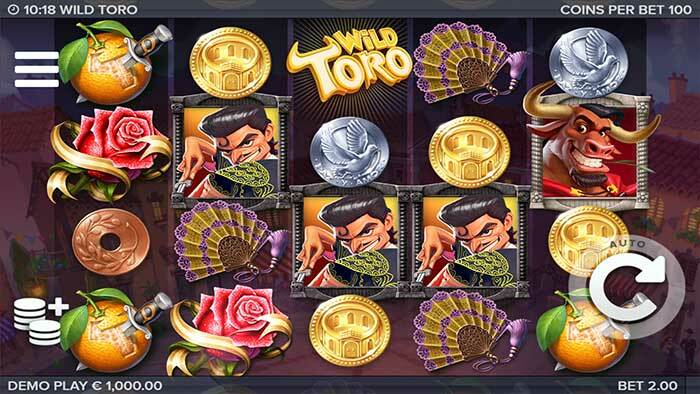 The Wild Toro slot is rather unusual 5×4 reel slot with a total of 178 paylines, the slot is playable for a minimum bet of 0.20 credits, as you would expect from the title the main star of this slot is El Toro (The Bull) but also features Diaz Jr a Matador who Toro will charge at during gameplay adding many wilds onto the reels. In the base game, there are a few natural wilds on the reels, and some heavily stacked symbols too, but the main excitement is going to occur when Toro lands on the 5th reel of this slot and triggers the “Toro Goes Wild” feature , where if the Matador is present on any of the reels Toro will charge towards him making all of the symbols he passes through into wilds. There are a couple more extra features on offer which includes the Matador Respin Challenge, where you are given several re-spins to try and trigger the main bonus feature, most of the Wild Toro bonus features are shown in the promotional video below. The main bonus feature in the Wild Toro Slot occurs when El Toro lands on reel 5, if any Matadors are present on the reels (2, 3, 4) then El Toro will charge first vertically and then horizontally towards this symbol, all of the positions on the reels which are passed through are then changed into wild symbols. If no Matadors are present on the reels then Toro will slowly make his way towards reels 1, further Matadors then landing to his right will cause Toro to move back across the reels making for quite an interesting and tense bonus round. 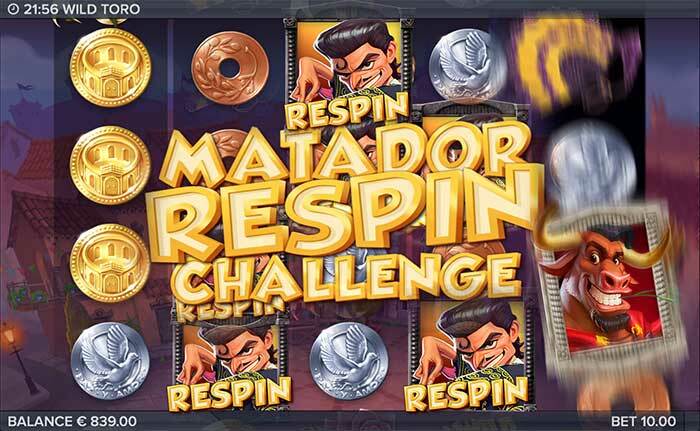 The final mini feature is the Matador Respin Challenge, which is triggered by landing 3 of the special Matador Symbols, this then grants you with 3 re-spins in which are you are trying to land El Toro on the reels to trigger the main bonus. The theoretical RTP (Return To Player) for Wild Toro is a decent 96.4%. 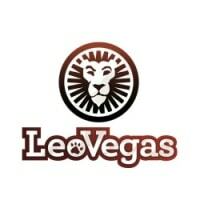 An interesting release from ELK Studios, they continue to produce some visually impressive and different slots and definitely cater well for mobile slots players with their simplistic design. 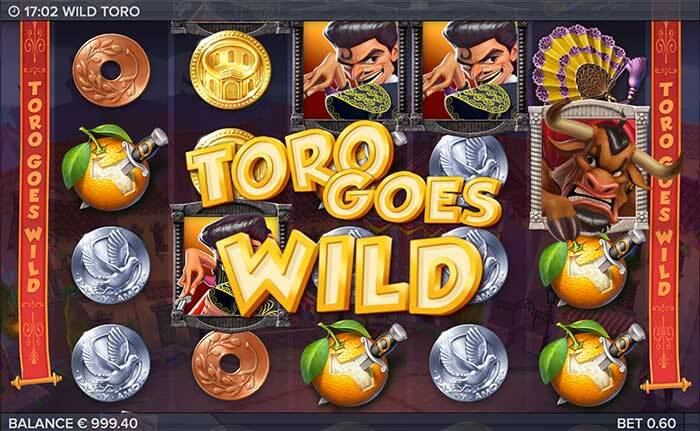 Wild Toro has an interesting bonus feature which can be very rewarding, but can also be slightly short lived as he roams across the reels when no Matadors are present causing the bonus to end in just a few spins, the slot however seems to be fairly low-medium variance and the feature does seem to trigger quite often. Not our favourite ELK slot for sure, but certainly worth a few spins if you are looking for something different to play.